Heat is a byproduct of the engine's combustion process. 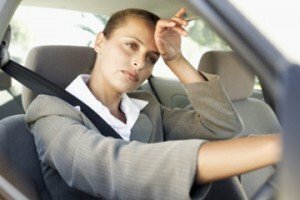 The coolant in your car’s radiator absorbs the heat. The coolant is then circulated through the heater core before returning to the radiator. The heating system also includes a series of air ducts, a blower motor and fan, and temperature and duct controls, which select the desired temperature and direct the flow of warm air. Refrigerant enters the evaporator core as a liquid. 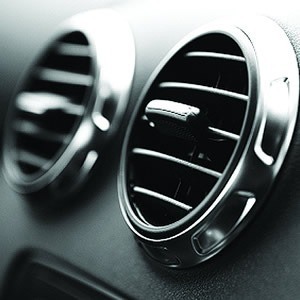 Heat from the air converts the liquid refrigerant back into a gas, which cools the air before it enters your vehicle. 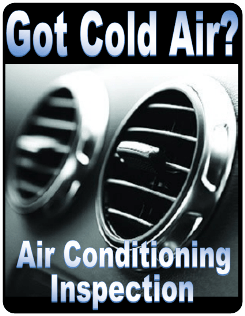 Let’s talk about air conditioning service and repair issues for the Council Bluffs NE area. Most of us in Bellevue we don’t give our air conditioning a second thought as long as it’s making cold air. But it’s a complex and expensive system that we should think about before it starts blowing hot air. The refrigerant in the air conditioner contains a special oil that lubricates and cools the A/C parts. This oil is eventually used up. Your air conditioner still makes cold air, but the parts don’t have oil to protect them and they wear out faster than they should so it’s important to service the air conditioner as recommended by your Bellevue NE service center. Check your owner’s manual or ask your Bellevue service advisor at Yeck’s Tire & Auto Repair for service recommendations. And if you’re hearing strange sounds when your air conditioning turns on, or if it just isn’t as cold as it used to be, have us give it the once over see what it’ll take to keep you cool. Along with the refrigerant, a special oil circulates in the system. 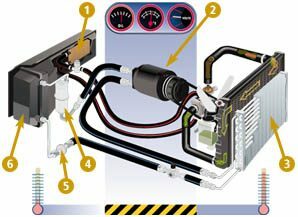 The oil lubricates air conditioning components, and keeps the seals resilient. Low refrigerant and lubricating oil means that the air conditioning parts will wear out prematurely, and we all know that air conditioning repairs can be costly in Omaha.